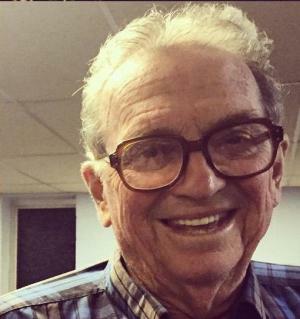 Mr. Joe Maddox, age 81 of Fayette passed away Sunday, February 3, 2019 at Brookwood Hospital in Birmingham. Funeral services will be held Wednesday, February 6, 2019 at 2-P.M. from Nelson Funeral Home. Burial will follow in Fayette Memorial Gardens. The family will receive friends Wednesday from 12-2 P.M. at the funeral home. Mark Maddox and Harold Kelley will officiate. Survivors include his wife: Gladys Maddox, three sons: Mark Maddox (Betty), Greg Maddox (Thea), Joe Maddox, Jr (Natalie), and five grandchildren: Amber, Autumn, Ashley (Mike), Faith (Cory), and Savannah (Cody). Honorary pallbearers will be: Kevin Emerson, Jimmie Henderson, Lynn Wates, Elmer Watkins, Randy Howard, Jeff Hahn, Neal Buck, Bill Pollard, Curtis Conner, Tommy Stell, Donald Rhudy, Nick Grassel, and Charles Cummings. Active pallbearers will be: Cory Johnson, Cody Dugger, Brandon McWhirter, David Weston, Jonathan Stell, Jay Dole, and Nickolas Grassel.